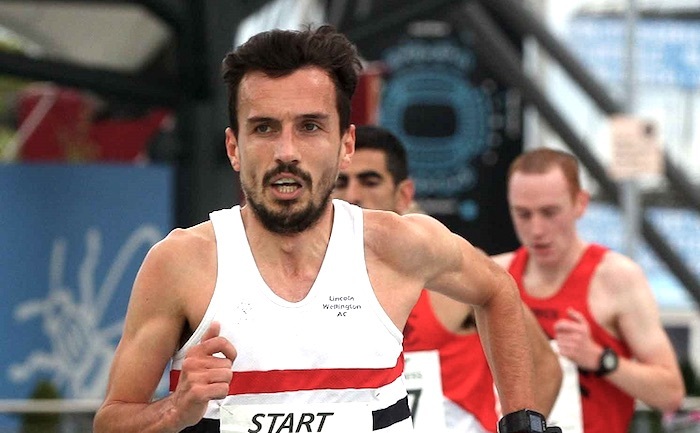 2:17 marathoner Aaron Scott will toe the elite start line at this year’s London Marathon after juggling 120 miles a week and a full-time job. 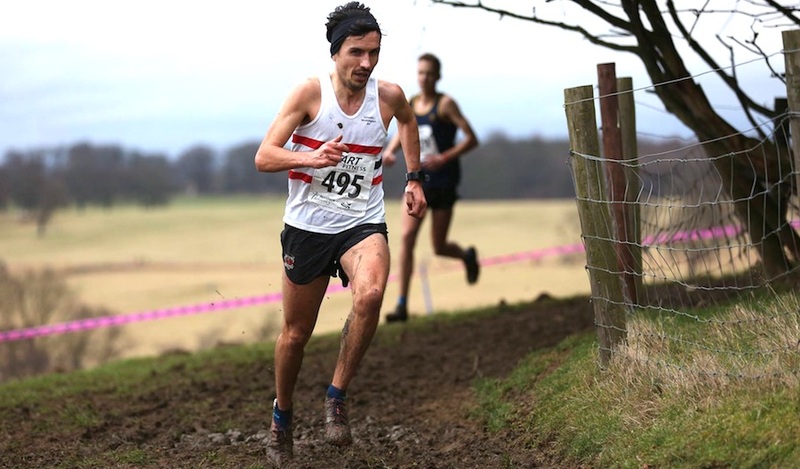 Lincoln Wellington’s Scott works full time in e-commerce alongside his elite marathon training, yet he has consistently improved his marathon PB for the last three years to his current best of 2:17:46. How does the Nick Anderson-coached runner do it? 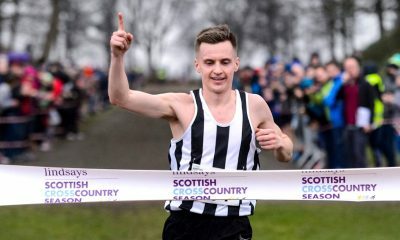 A finely tuned daily routine plays a large part in Scott’s success so far, alongside a very understanding fiancé who regularly picks him up at the end of exhausting point-to-point long runs – “without Jenny picking me up from remote places, I’d never get my big marathon runs done” – a training group to grind out the harder sessions with, and a supportive employer who allows him to fit his training in around his work commitments. 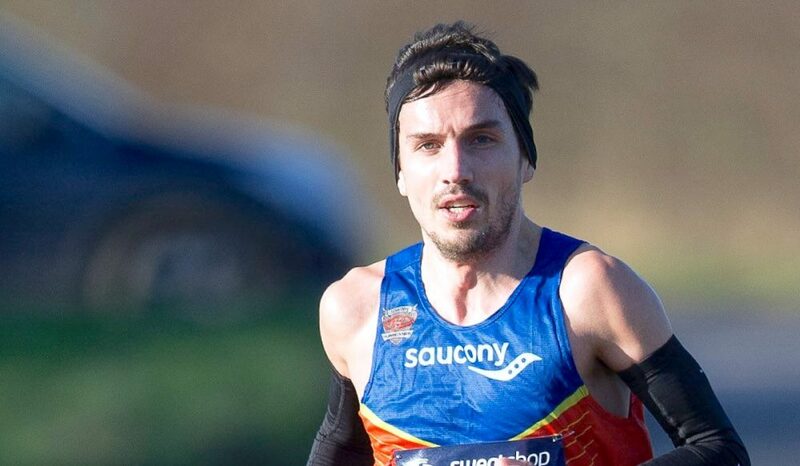 The 30-year-old is currently building towards The Big Half, which takes place in London for the first time on March 4th, where he hopes to run under 65 minutes. His training is reaching peak volume with the main goal of the marathon looming on the horizon, and, despite working 35-40 hours a week for The Leprosy Mission Shop, he will aim to train twice a day five days a week with one run scheduled on Fridays and a long, hard run on Sundays to ensure he’s in peak condition come April 22nd. Although Scott admits he’s learnt 130-140 mile weeks are not sustainable for someone like him who works full time, he still puts in the big miles. Scott rejoined The Leprosy Mission (TLM) – a charity helping to support people affected by leprosy across the world – last July, having worked full time for the e-commerce team at Rutland Cycling for three years previously. Although he works 9am to 5pm Monday to Friday, he is grateful to his employers for allowing him flexibility with his hours to allow him to train as hard as he does. Scott is just as strict with his sleeping hours as he is his mileage, an area of his life that is helped by the nature of his fiancé Jenny’s work as a makeup artist. “Jenny often works in London during the week, but if she comes home for the night, she’ll be up at 4am, as she often has actors in the chair by 6am,” he explains. “This means we often go to bed at 9pm, sometimes even 8pm – so some weekdays I can get 10 hours sleep and still be up at 6:30am. Following a lengthy sleep Scott is up by 6.30am, running by 7am, has breakfast at his desk before running again at lunch time or after work – depending on the session – does core or stretching in the evening before eating dinner at 7.15pm and back in bed by 9pm. The only exception to this routine is when he trains with his Lincoln Wellington club mates in the evening, when he won’t get home until as late as 10pm. 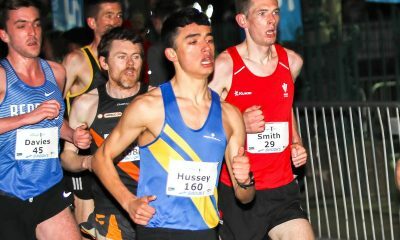 Although the 14:09 5000m runner has a healthy attitude to nutrition – including a pre-race Domino’s pizza before the Armagh 5k, where he earned his 5k PB – and is now taking advice from Alan Murchison, the Performance Chef – he has learnt the timing of meals for recovery and performance is key to getting the best out of the food he eats. “It makes a massive difference to your session if you’re eating right in the hours leading up to it,” he explains. “Similarly, making sure I have a protein shake and some form of carbs ready immediately after a session is something I have been focusing on, just to make sure I’m getting the most from the work I’ve just put in. Despite eating well and never depriving himself of the foods he enjoys, he still has to supplement his iron levels with ferrous sulphate, a form of ferritin, because his body isn’t able to absorb iron properly. Scott is keen to stress that it is only because of his genetically low ferritin levels that he has to take the supplement. “I’ve got naturally low ferritin levels, which I blame my mum for – they often hover in the 20s and have been as low as 12 before (they should be closer to 50),” he points out. “It annoys me when some people compare iron supplementation with doping. What I am doing with my iron supplementation is not cheating, similarly using an inhaler is not cheating. Scott is excited about starting with the elite runners at this year’s London marathon for the first time, and is aware of the fact that it will make the day a lot easier to manage. “I’m really thankful to the London marathon for giving me this opportunity, as for the last three years I’ve had to make my own arrangements for accommodation, travel, and haven’t had any drinks support,” he explains. 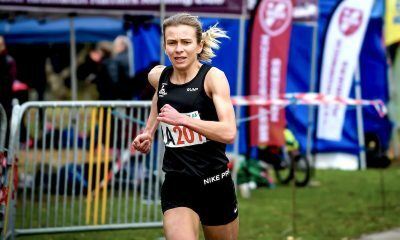 The Ipswich Town football club fan is optimistic about the future of British marathon running, but hopes improved performances in the discipline are rewarded appropriately. The Stamford-based athlete is grateful for the support he’s received from his coach, Nick Anderson, pointing out that his positivity and confidence-boosting pre-race talks have helped him improve from 2:20 to 2:17 in the last three years. “Nick’s a great bloke and always positive – he’ll tell you I’m terrible at communicating when things are going badly, so that’s something I need to work on,” he explains. “I’ve told him that I want him to be harder on me – a bit more Neil Warnock – but all in all it’s on the right path. “I’m incredibly fortunate as I’m aware that other top runners in the UK get little or no support whatsoever,” he concedes. “I try and make myself as marketable as possible, but unfortunately I think that’s a very hard thing for Brits to do. We’re so hesitant to promote ourselves, and it’s to our detriment. “It’s not very British to be out there bigging yourself up, but if you want the support then it’s got to be done! “It’s the same with funding, but that’s the fault of the IAAF and the world of athletics, who for the past 30 years have forgotten to market the sport correctly. You can watch the Premier League of Netball or the Kabaddi World Cup on Sky Sports, but not the European cross country trials, or even the World cross country.